A principal investigator for a surgically implanted port delivery system talks about the device’s design and performance in patients with wet AMD. Treatment of wet age-related macular degeneration (AMD) with anti-VEGF agents currently requires a regimen of frequent injections over many years to maintain visual acuity. Retina specialists and patients alike have come to realize that this treatment burden is less than ideal. If it fulfills its early promise, receives regulatory approval, and reaches the market, the Ranibizumab Port Delivery System (RPDS; Genentech), a refillable implantable device designed to treat patients with wet AMD over the long term, may offer a solution to this problem. 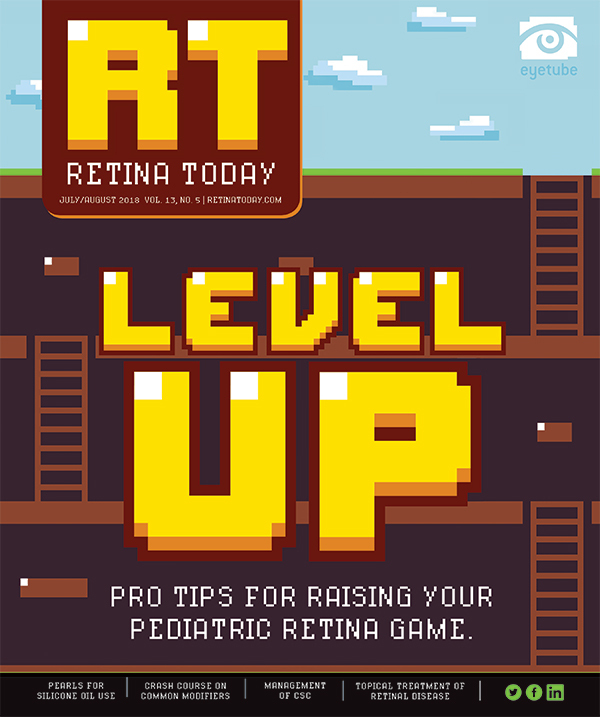 Retina Today had a conversation with Carl D. Regillo, MD, to get some facts and insights. Briefly, what is the RPDS? 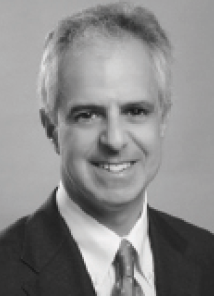 Carl D. Regillo, MD: The RPDS is an implantable, reservoir-based, slow-release platform that sits in the sclera and delivers ranibizumab (Lucentis, Genentech) in a concentrated solution at different doses in the setting of wet AMD. The device requires a short, relatively simple surgical procedure to be implanted, and because it’s self-retaining it doesn’t need to be sutured. The RPDS sits under the conjunctiva in the pars plana. It is initially filled with the concentrated solution of ranibizumab in the OR when it is implanted, but thereafter it is refilled in the office using a special needle. What’s the investigative and regulatory status of the RPDS? Dr. Regillo: The safety and efficacy of the RPDS were evaluated in the phase 2 Long-Acting Delivery of Ranibizumab (LADDER) trial,1,2 which is now complete. Initial results are expected to be announced soon. The LADDER trial is a multiarmed study using different concentrations of ranibizumab to examine durability with regard to controlling wet AMD. The control group is receiving monthly ranibizumab injections at the standard 0.5 mg dose. • The RPDS is an implantable, reservoir-based, slow-release platform that delivers a concentrated solution of ranibizumab for the treatment of wet AMD. • Safety and efficacy data from the phase 2 LADDER trial of the device are expected soon. • A truly durable, slow-release treatment option would fill a large unmet need in the treatment of patients with AMD. You’re involved with the RPDS as a principal investigator. What else can you tell us about the LADDER trial? Dr. Regillo: I was a consultant looking at various prototypes for the device, but a center in Europe conducted the phase 1 study, in which 20 treatment-naïve patients with wet AMD had the original device placed. A total of 61 centers in the United States are participating in the phase 2 study, and I am the principal investigator for our site at Wills Eye Hospital. The RPDS is a very simple delivery system, and that’s in its favor. Simple is better because, with any device, you are always concerned about the risk of infection or bleeding and any problems you might have going into the OR or having a foreign material in the eye. We are watching all of this closely at the phase 2 level, and we will have a good feel for its safety profile because there are 220 patients divided among the four study arms (RPDS implant ranibizumab formulation 1, n=60; RPDS implant ranibizumab formulation 2, n=60; RPDS implant ranibizumab formulation 3, n=60; intravitreal standard of care ranibizumab 0.5 mg monthly, n=40). Lack of durability of anti-VEGF drugs is routinely cited as a major unmet need, and it is. The hope is for the RPDS to work at least as well as monthly anti-VEGF injections, but for a good amount of time. What’s the definition of a good amount of time? Dr. Regillo: According to past surveys conducted by the American Society of Retina Specialists that asked what a good minimum time of effect would be for a device that requires surgical implantation, most people would want to see at least 6 months of durability. The RPDS also has to be safe, it has to work well, and it has to deliver an amount of drug that is equivalent to what is given in our usual office-based injections. I’ve been keen on this from the very beginning, but there’s only so much you can say in the context of being an investigator in a study. As I mentioned, results from the phase 2 LADDER trial are forthcoming, so we’ll know soon enough how well the device performed. What other sustained-release platforms have been developed? Encapsulated Cell Therapy (ECT; Neurotech Pharmaceuticals) is an ocular implant containing genetically engineered cells that, according to the company, enable continuous production of therapeutic proteins to the eye for more than 2 years. The company’s pipeline candidate NT-503 was being developed in the treatment of wet AMD, but that program was discontinued. And of course gene therapy more generally has the potential to deliver an anti-VEGF drug indefinitely. Avalanche tried this in the past, but the program was discontinued at the phase 1/2a level. Despite this setback, the company, now known as Adverum Biotechnologies, has made some modifications, and its platform is in preclinical stages. Regenxbio also has a wet AMD gene therapy treatment program that is in phase 1 testing. This is something to keep a watch on for the future. What are the key takeaways on sustainable drug delivery to the retina? Dr. Regillo: At some point we hope to have a viable, good, sustained-release delivery system. For most patients with wet AMD, you’re going to be treating them forever. Most patients with retinal vein occlusion face ongoing treatment, and patients with diabetic macular edema (DME) or diabetic retinopathy in general also have several years and many treatments ahead of them. If the RPDS does prove to have a good safety profile and good efficacy, I’m sure we’ll be talking about proceeding to phase 3 trials, probably within a year from this summer. Hopefully things will move right along so we’ll have access to this treatment option sooner rather than later. The field has been asking for durable delivery for a long time, so the RPDS could really fill a great need. It’s also important to keep in mind that, if this device is successful in the treatment of patients with wet AMD, it could easily have a role in the treatment of patients with DME, those with a high level of diabetic retinopathy but no DME, and those with edema secondary to retinal vein occlusion. 1. Dreyer RF, Barteselli G, Osborne A, Francom S, Hopkins JJ. Sustained delivery of ranibizumab: the LADDER trial of the Ranibizumab Port Delivery System (RPDS). Paper presented at: American Society of Retina Specialists Annual Meeting; August 9-14, 2016; San Francisco, CA. 2. Study of the efficacy and safety of the Ranibizumab Port Delivery System (RPDS) for sustained delivery of ranibizumab in participants with subfoveal neovascular age-related macular degeneration (AMD) (LADDER). ClinicalTrials.gov. https://clinicaltrials.gov/ct2/show/NCT02510794. Accessed July 3, 2018. 3. Humayun M, Santos A, Altamirano JC, et al. Implantable micropump for drug delivery in patients with diabetic macular edema. Transl Vis Sci Technol. 2014;3(6):5.